What is the difference between the Breeders Fund program and the Sire Stakes? The Breeders Fund benefits the owner of the mare when she is bred to the stallion. The Breeders Fund is a percentage of qualifying purses earned by the resulting eligible foal. Payments are made to the breeder of the foal, regardless of who owns said foal when it races. The Sire Stakes are a set of races that the foal will be eligible to be staked to. For example, all foals sired by a Pennsylvania stallion, are eligible for nomination to race in the PA Sire Stakes. What do I need to qualify for Breeders Funds in PA? Your mare must reside in Pennsylvania for 180 days, including on her foaling date. The 180 days does not have to be within the calendar year. She must also be bred to a PASS eligible stallion. You must file the paperwork to register your mare by Feb 15th of the foaling year with the PABF office and racing commission. You can find the paperwork on the USDA website here. Can my mare be dual eligible? Yes. It is possible for your mare to be dual eligible in Pennsylvania and Kentucky. The Kentucky program requires the mare reside in KY for 180 days in the calendar year of conception. She does not have to be bred or foal within Kentucky, just needs to spend 6 months within that year in KY. Therefore, she can split her year between the KY and Pa requirements. The Kentucky forms can be found here. What are the rules for Ohio? 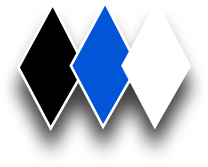 Ohio is new for Diamond Creek this year, with the move of Creatine and Downbytheseaside to Sugar Valley. Ohio is very similar to Pennsylvania in their requirements. The main difference being that forms must be filed by Dec 31st of the year PRIOR to foaling. The exact requirements and forms can be found on the OHHA website. What about New York rules?